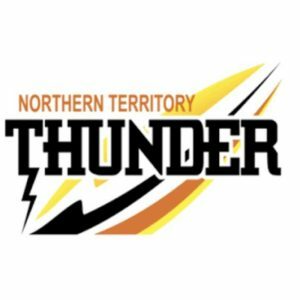 ROUND 5 of the Northern Territory Football League (NTFL) Women’s Premier League sees a couple of weaker sides being tested against the competition’s strongest forces. Firstly, Southern Districts will take on the Wanderers, while at Gardens Oval, Waratah will do battle against St Marys. Then, Nightcliff will take on the Buffettes and in the only Sunday game, Pint and Tracy Village go head-to-head for crucial premiership points. The Wanderers will search for their first win against the Southern Districts this weekend. The Crocs are more vulnerable following Round 4, after suffering a loss to Palmerston. But the week before, they smashed St Marys by 114 points, so it is hard to tell where the Southern Districts are at the moment. The Crocs’ forward line can be very potent at times, so if Teka Voysey, Tahlia Holtze, Charles Deegan and Kelsey Patterson can continue to kick goals, then the Wanderers may struggle. For the Wanderers, they will need to take key learning lessons out of last week’s big loss against Waratah to put up a fight in this game. Waratah looks primed to defend its NTFL Women’s premiership, with no losses so far to begin the season. The Warriors have also recorded big winning margins along the way, with the most recent one coming against the Wanderers in Round 4. Lisa Miceli is dominating the goal kicking so far, booting through 13 majors in three games. The next best goal kickers are on seven, making Miceli a player that St Marys must nullify. But this will be difficult, as the Saints have been struggling this season, with just the one win to date. Hopefully Isabelle Porter and Katherine Dann can build on their good form and prevent an onslaught from the Warriors on Saturday. Nightcliff seems to be in for another disappointing season, struggling to put in a fight in the first four games of the season. Last week wasn’t any easier, going down to Tracy Village by 95 points. The Buffettes on the other hand are going along nicely with three wins and one loss. What makes it better is Darwin has come off its biggest win to date, defeating St Marys by 70 points in Round 4. Northern Territory Under 18 representative, Machaelia Roberts has been on fire to start off her season for the Buffettes, and is coming off a five-goal performance. Meanwhile for Nightcliff, Emma-Lou Wolsey and Sophie Hatzismalis have been solid and will need to step up again in Round 5. Pint has gone from top of the table to fourth in just two rounds, after a bye and a big loss to Darwin last week. This means the Queen Ants will be raring to go in a big clash against Tracy Village, which they need to win to get their momentum back. The Razorbacks are flying though, with three wins and one loss, sitting at second on the ladder. They had a big Round 4 win against Nightcliff, so their confidence will already be high going into the clash against Pint. Jeannie Cook and Rachael Bull will be looking to build their goal-kicking tallies after they both kicked four goals last week. Erin Hetherington has been one of the standouts for Pint though, so expect her to have another solid game against Tracy Village.